Ishshah’s Story is pleased to share this guest post from Jory Micah of Pittsburgh, USA. Jory Micah is a Bible teacher, preacher, and writer at www.jorymicah.com. She has obtained an AA in Practical Theology (Christ for the Nations Bible Institute), a BS in Church Ministries (Southwestern Assemblies of God University), and an MA in Christian Doctrine and Church History (Regent University). 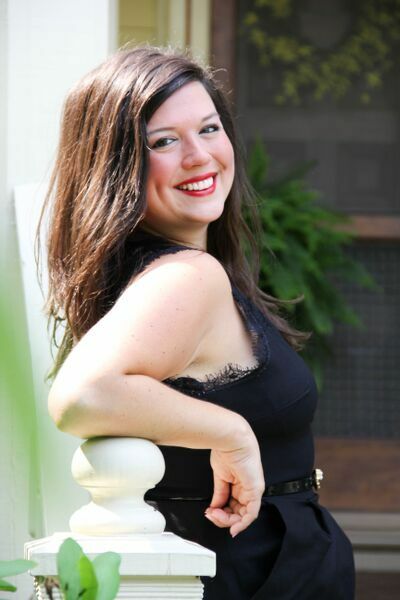 Jory wrote her master’s thesis on women in church leadership during the first and second centuries of the Christian Church, using the Bible as her primary source. Her mission is to empower women to chase their God-dreams, use their voices, and shake off man-made chains that inhibit their purposes. There have been many dishonest attempts to overthrow complementarianism all over the internet; but in my opinion this approach is unwise. Before we can examine the weaknesses of this newly formulated word and idea, we must understand what it actually is and do our best not to misrepresent John Piper’s and Wayne Grudem’s theology of biblical manhood and womanhood. Complementarianism should be understood as “soft” patriarchy. It never promotes abuse of women or abuse of power. Piper and his friends have sought to inspire men to be “servant-leaders” of the household. This means that they are to be the primary financial providers, protectors, and Christ-centered leaders. Sounds great, right? What woman wouldn’t sign up for this? In fact, many large churches are following the complementarian agenda and are teaching that God has designed men to take responsibility, work hard, provide a great life for the family, love their wives, and actively guide their children. The ideal complementarian man can be compared to the coolest, kindest, most generous boss one ever had. The mother passage for complementarianism is Ephesians 5:22-33, in which the Apostle Paul compares wives to “the Church of Jesus Christ” and husbands to “Jesus Christ” Himself. The passage seems clear, except one notion: husbands are not Jesus Christ Himself. Even the most wonderful Christian husband is still a human, made of flesh and blood, corrupted by sin and selfishness. Complementarians take this passage to its most literal extreme, encouraging men be mini-gods in the flesh. The greatest weakness of the complementarian agenda is that mere men will always fail to love as Christ loved His Church (His “bride”), which makes this an unattainable doctrine. When we pressure men and women to adhere to an unattainable doctrine, we are asking for marriage and home troubles. As a Christian woman, I most certainly desire my husband to love me as Christ has loved me, but to expect Him to do this is unreasonable because it is impossible for him to do this. He can try. He does try. But he will fail. If we submitted ourselves to the complementarian ideal, I would always be frustrated with my husband’s failure, which would make me disappointed in him. He would sense my disappointment (even if I tried to hide it) and it would crush his spirit. In time, this theology would cause an emotional disconnect between us. The second greatest weakness of the complementarian agenda is that mere men will always pervert any system of hierarchy – even if it is supposed to be a “loving” system of hierarchy. Many Christian singles and married couples are accepting this theology without reading the fine print. Often, women enjoy being taken care of by a man and men enjoy taking care of a woman. This is OK. This can be a beautiful expression of love and trust (what Paul is actually referring to in Eph. 5), but complementarians have added man-made rules to their doctrine that women do not realize they are signing up for. Mainly, women are signing over many ministry rights and opportunities to men; while men are signing NO ministry rights and opportunities over to women. Within complementarian thought it is completely acceptable for a man to teach a woman the scriptures, but it is forbidden for a woman to teach a man the scriptures. Men are literally permitted to serve in ANY role they please in Jesus’ Church, but women are extremely limited in the roles they can serve in. The third greatest weakness of the complementarian agenda is that it teaches men, women, and children that God is a God of double standards. Both men and women detest double standards and so does God. All throughout the Gospels, we can see Jesus putting His finger on hypocrisy and exposing double standards. Our Savior came to earth to even the playing field; not to add more legalism, oppression, and injustice. Complementarianism has some convincing arguments, but its weakest areas are seriously damaging to both men and women when actually practiced. Many couples who claim they are complementarians are actually egalitarians in practice, which is why their marriages work well. This model can also work well if the husband is an inborn leader and the wife is an inborn follower because no one is being forced to change their personality and giftings. But, if a theology cannot work for all people, couples and churches, it is a bad theology. Complementarianism is a bad theology created by brilliant theologians. 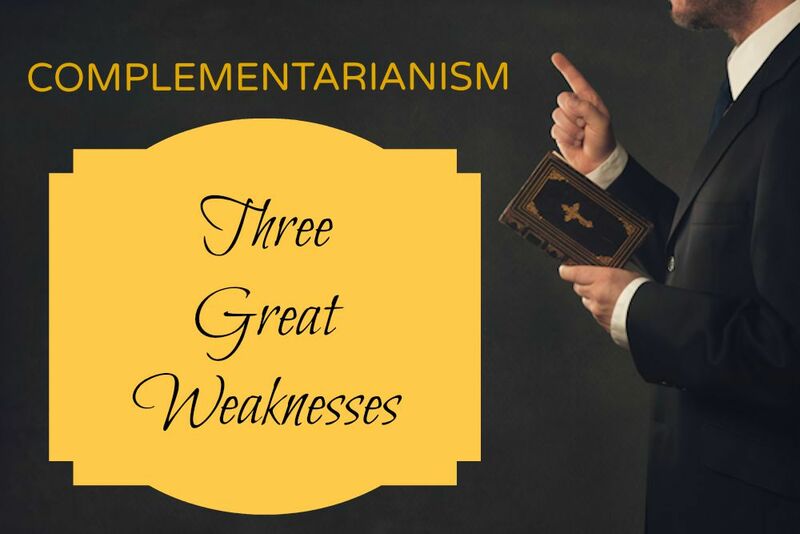 There is no doubt that John Piper and Wayne Grudem have contributed awe-inspiring work to the 21st century Christian Church, but complementarianism is not among their greatest contributions. Two men have set out to recover the complexities of biblical manhood and womanhood and although I applaud them for their audacious efforts, it is clear that the roles of men and women and how the two relate to one another still appears to be quite mysterious. Hi. Very well put. I have never really understood what complimentarians really stood for. I have read an article by Wayne Grundem and was quite impressed. Thank you for bringing out the glaring weaknesses in this doctrine. If this be taken as true, it is a relief (where my ability is concerned) to think that my marriage can only at best be a reflection of Christ and His bride. The key word is ‘reflection’, in the same sense that the moon reflects the sun. Viewed this way, two things come to play, 1. The fact that it is the light of Jesus Christ that is experienced by both the married and the unmarried, and 2. Apart from the Son’s light, my marriage has nothing to reflect the same way the moon is not visible outside the line of sunlight. As much as husband and wife are one legally, in terms of ability to reflect the relationship of Christ and the Church, it depends on the individual partner’s relatedness with Christ. To me, this will not only work when they are both in sync with Christ, but also when either one is not. Christ can be seen in a godly wife’s response to an unfaithful husband, the same way He can be seen through the response of a godly husband to an unfaithful wife. With this, two stories come to mind, Hosea & Gomer, and Abigael & Nabal….. I hope I have not gone out of topic. Indeed Patrick! I have thought about this a lot. If the husband and wife are meant to be of “one flesh,” they how could their be a hierarchy within the the marriage?! http://www.womenforthenations.org/#!course/c1a3b Thankyou for sharing your thoughts with us! Thank you again for having me as your guest and thank you for fighting to bring about gender equality in Jesus’ Church! So pleased to have you as our guest contributor Jory. Onward!